Ever since my return from Calgary I’ve been spending less and less time on social media. That’s been almost a month now, and while I do miss having the personal contact with my closest friends and fans, I really need to focus more on my offline art-related activities. The main one right now is taking my art into the realm of mixed media, and soon I’ll show a nice little example of how that’s going, but not in this post. My left arm continues to be a sore spot, so I’m keeping my typing to minimum these days . . . another reason why I’ve reduced my social media activities. Thankfully this has not hampered my new art projects! Lately I’ve had a surge of creativity, with some pretty amazing results. My days are largely a combination of trying new techniques, such as acrylic and pencil on top of my original art prints, but also creating new pieces. I won’t be posting much of my new work on Twitter and Facebook for the next little while, but you can be sure I’ll show more in my blogs from time to time, including this untitled work (below). Have a great week, and please feel free to keep in touch. Even if I don’t appear to be online, I do check for messages constantly, but I don’t always reply as quickly as I did in the past . . . hope to hear from you soon. Now here’s that new painting. It started with the ink-on-paper sketch (up top) that I did about 8 years ago. 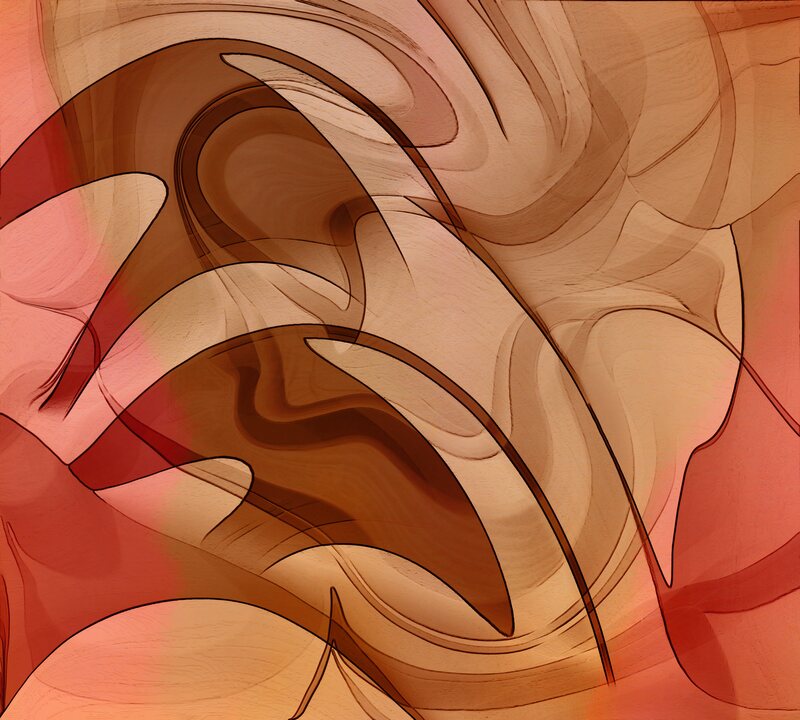 This entry was posted in Art and tagged abstract art on June 10, 2015 by Lawrence Grodecki.